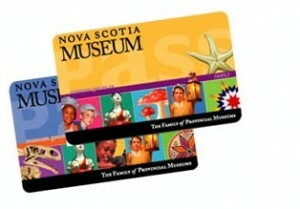 The Nova Scotia Museum Pass can be good value if you plan to visit several museums. Consider picking up a Museum Pass if you’re planning to visit at least 3 museums while touring around Nova Scotia. A family including 2 parents and their children pays just $82 for the pass, while adults pay $42. This includes unlimited entry to all 27 museums run by the Nova Scotian government over a 12-month period, including the Maritime Museum of the Atlantic and the Natural History Museum in Halifax, Sherbrooke Village on the Eastern shore, the Fundy Geological Museum in Parrsboro and the Fisheries Museum of the Atlantic in Lunenburg. Since a family typically pays $20-30 for entrance to a museum, it’s easy to see how the pass could pay for itself over the course of a 2-3 week trip. You’ll also have more flexibility to return to the bigger museums several times, instead of trying to absorb everything in one visit. You can buy your pass by calling 1-800-632-1114 (pay with a credit card) or in person at any of the museums participating in the program.